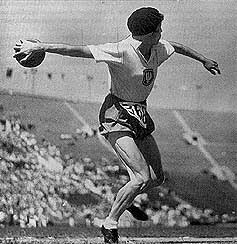 Stella Walsh was indeed one of the world’s greatest women athletes. At one time, she held 61 world and national track and field records. Track fame came early in life to Stella, just five years after she immigrated to the United States at the age of 10. Stella first rose to prominence during the summer of 1926 while a 15-year-old student at South High School in Cleveland, Ohio. That memorable summer she won the 50-yard dash for girls at a meet staged by a Cleveland newspaper and astonished track fans by equaling the women’s American record in six seconds flat. Walsh, then just a sturdy fleet-limbed youngster, thought little of her accomplishment. She just wanted to play basketball and softball with other children on her block in her Polish community. But she caught the attention of Walter Bosley, a physical education director. He coached her for nearly years before she moved to New York City and was coached by track and field manager Dan Griffin. In 1929, Stella achieved considerable fame. She anchored the NYC relay team at a meet in Newark, NJ, which set a new world mark of 1:57.6 for the 880-yard medley. Later in the year, she went to the World Pan-Slavic Track and Field Championships held at Poznan, Poland, to represent the Polish Falcons of America. There she captured the all-around scoring title in the women’s division by winning the 60-meter, 100-meter and 200-meter dashes and placing third in the high jump. Immediately after these victories, the Polish government invited her to represent Poland in an international meet with Austria. She accepted and won the 60-meter dash with a new world record time of 7.6 seconds. In February, 1930, Walsh set another record. At the Melrose Games at New York’s Madison Square Garden, she ran the 50-yard dash in six seconds flat for a new indoor-record for women. During the meet, she competed against outstanding Canadian Olympic stars. The records continued to drop before Stella’s flying feet. In the summer of 1930, she ran the 100-yard dash in 10.8 seconds – the first time a woman had ever broken 11 seconds for that distance. Later in the year at Dallas, she won the 100-yard and 200-yard dashes and the running broad jump in world record time and distance. In 1930 she took her place beside other track immortals by being named on the list of the 10 most outstanding athletes of the year. But greater fame was still to come. 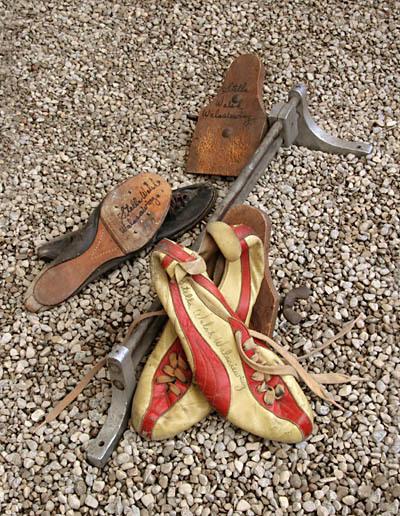 In 1932, Walsh represented her native country, Poland, at the Olympic Games. She won the 100-meter dash in an Olympic record time of 11.9 seconds earning her the Gold Medal. In the 1936 Olympics in Berlin, she took the Silver Medal in the same event. In addition, between 1930 and 1954, she won 41 U.S. National Titles.